When did you last carry out an SEO audit on your website? I’m guessing the answer is somewhere between ‘not for a long time’ and ‘never’. If you hope to get business from people who find your products when they search on Google, you really should pay attention to SEO. (Other search engines, such as Bing, are available, but I’ll be referring to Google throughout this article. It’s easier than writing ‘search engine’). In my experience, most small companies don’t spend a lot of time thinking about SEO. They tend to trust their website designer who, in many cases, promises to make the site ‘SEO friendly’ when they set it up. SEO = search engine optimisation. It’s what you can do to improve your website ranking on search engines. Unfortunately, SEO isn’t a ‘thing’ you set up and forget about. It’s an ongoing process. The good news, for smaller businesses, is that most of your competitors pay as little attention to SEO as you do. So, if you put in a little effort, you should see results by improving your position on search engines. This is why I recommend that you take some time to carry out an SEO audit and then fix some of the issues you uncover. To help you get started, I’ve put together a simple, non-technical, SEO audit checklist. It only covers the basics, but it’s enough to get you going. You’ve heard about keywords. These are words people type into Google and that, you hope, will bring them to your website. The problem with keywords is that everyone’s chasing them. If you run a holiday cottage in Dorset, you want to appear high up in Google when someone types ‘holiday cottage in Dorset’. Problem is, all the other holiday cottage providers want the same thing. So how do you get ahead of the competition by using keywords? The short answer is to make sure the keywords that you want to bring people to your site are actually being used on your site. If your target keyword is ‘holiday cottage in Dorset’, does that keyword (which is actually several words) appear anywhere on your site? You’ll be surprised how many websites don’t use obvious keywords in their text. It certainly surprises me! When it comes to keywords, SEO is far from a precise science. Some SEO experts suggest that you shouldn’t worry too much about keywords, because Google is continually getting better at understanding what your website is all about, making precise keywords less relevant. In my view, it’s worth making sure that your target keywords are on your website, ideally in titles and opening paragraphs. I’ve recently (late 2016) worked with a multinational client on the launch of their website, and their web team are very focused on keywords. If they think keywords are still important, you should too. Google’s advice to people who want their website to rank well is to focus on fresh, relevant content. What is relevant content? If you’re a plumber, then relevant content is a page telling people what services you offer and how to get in touch with you. But that makes for a pretty thin website. Case studies, describing the work done on particular jobs (you don’t need to name your client). ‘How to’ articles, explaining how to perform simple tasks. Common problem articles, describing issues people might expect to encounter. Plumbing terminology explained, helping people to understand the language of the plumber. You can probably think of other relevant content you could add to your website. If adding lots of material to your website sounds like a chore, you can spread it out over time. How about writing one new article a month? Obviously, the more you can do, the bigger impact it will have, but twelve articles a year will make a bigger impression than zero in a year. Here’s a word of warning about some website content. It’s tempting to publish news articles about your business, saying ‘we’ve just done this’ and ‘we’ve just done that’. Problem is, from an SEO point of view, these articles are low quality. Who’s actually going to read them? And they go out of date very quickly - no one’s interested in that new contract you won three years ago. But that great article you wrote about choosing a kitchen tap that will give years of trouble-free service could still be very relevant for a long time to come. SEO experts think that Google has developed a preference for websites with longer articles. It used to be that 300 words was considered sufficient, but today, 1,000 words could be more effective. Why the preference for long articles when we’re all in a hurry and want quick answers? No one reads long articles, do they? Long articles go into depth on a subject. Length is no guarantee of quality, but short articles are almost always going to be light on detail. When you’re carrying out your SEO audit, consider how many words are on each of your web pages. If it’s under 300, you should seriously think about adding more. Don’t be afraid to go much longer if needed. But always keep it relevant - don’t waffle just to up the word count. This is probably a biggie. Google doesn’t tell us the impact of different factors on website ranking, but a while back, they made a point of telling us that mobile friendly websites will rank higher. Which means that mobile unfriendly websites will rank lower. When did you last take a look at how your website appears on a mobile phone or tablet? Bear in mind that around half the people visiting your website will be using a mobile. Google provides a handy tool for determining whether your website is considered mobile friendly. Click here to get to the Google mobile friendly test. Unfortunately, just because Google thinks your website is mobile friendly doesn’t mean that it is. I’ve seen a site that Google gives the thumbs up to, because from a technology point of view, the site is good for mobiles, but from the user’s point of view it is far from friendly. That’s because it’s people, not computers, that use websites. Even if your site ticks the technology boxes, it may be a pain for a person to find their way around. So, your site may rank better on Google because it’s mobile friendly, but if users can’t find their way around, they’ll quickly lose interest. Which brings us to the next SEO factor you need to consider. Some websites are a pain to use. Others are designed to be clear and simple. Websites that are easy to use will rank higher on search engines. Google has ways of measuring user experience (often abbreviated to UX). If people don’t find your website gives them what they want, Google will know. And this will hurt your SEO. The problem is, you’re not the right person to tell if your site gives a good experience. Because you built it (directly, or working with a designer or developer), you know it very well. To you, it’s easy to navigate around and find the information you want. It’s tricky for you to know whether the site is doing its job well. One way to find out is to have someone else, who’s unfamiliar with it, give it a test. Ideally, find someone who matches your target market. I recently looked at a website for a business that targeted ‘affluent greys’. That is, older people who are relatively well off. There are quite a lot of these in Dorset. The function of the site was to get people to pick up the phone and make a call. That’s a good objective, because ‘affluent greys’ like using the phone. However, finding the phone number from the site wasn’t that easy. It wasn’t hidden, but it wasn’t immediately visible the moment they arrived at the site. This meant that the user experience wasn’t as good as it could be. How to carry out an SEO audit on your website. When considering where to rank your website when someone does a search, Google takes into account over 200 different factors. One of these is how many websites link to your website. That’s because ‘authority’ sites (that is, sites that people trust) have lots of links into them. So, the more sites that link to yours, the more authority your site has. Not all links are created equal - a link from a well-respected site is worth much more than a link from a site your mate set up last week. If you want to see a list of the sites that link to yours, click here to access the Google Search Console (formerly Webmaster tools). This gives you information about how people are accessing your site, including a list of sites linking to yours. Some SEO experts put a very high value on getting links. The challenge is getting links from high authority sites, because that’s not easy. Getting links from anywhere can be tricky. Don’t be tempted to buy links. 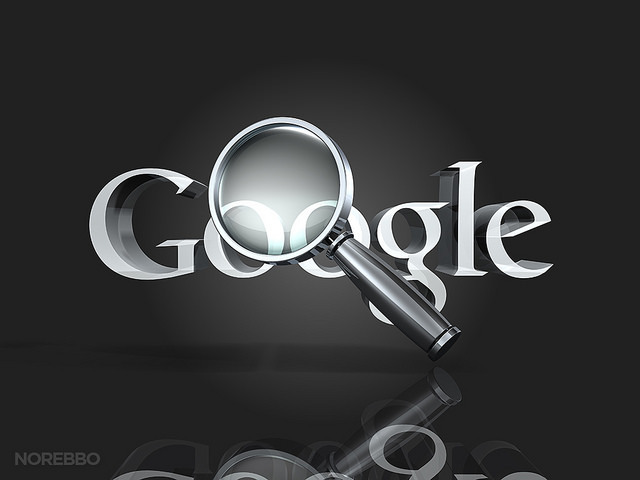 Google is on the lookout for this and will penalise your site if you do it. Similarly, with link exchange schemes. The best way to get links that Google likes is to do it the hard way, by publishing high quality material that people find useful, and then encouraging other websites to link to yours. As I indicated at the start of this article, SEO is an ongoing, indeed, never ending, process. You can review the points above over and over, every few months. Removal of duplicate content. Avoid using the same text over and over on different pages. Include some outbound links to other pages. Break up blocks of text to make it easier to read, by using plenty of subheadings and bulleted lists (like this one). Use social media to promote your content and generate more traffic to your site. Once you’ve made changes to your website, don’t expect its search engine ranking to change overnight. It takes Google a few days to process changes, and it can take even longer for these to start to feed through to how your page ranks. What SEO tips have worked best for your website? Getting results from SEO takes time. Be patient! Andrew Knowles has over 25 years of business experience, from corporate, small business and charitable backgrounds. When he's not training local Dorset businesses how to use social media and technology more efficiently, he can be found strolling the Weymouth sea front and chatting to Leo the cat. Get Andrew's best business advice direct to your inbox.